Assembles in minutes with no tools! 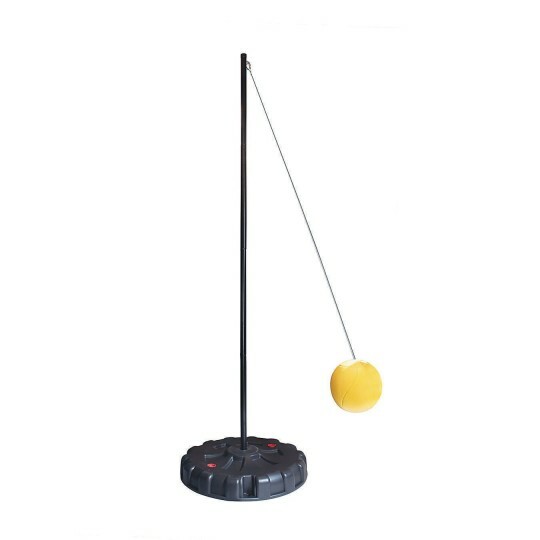 Portable tetherball with 8’ high x 1-1/2” steel pole. 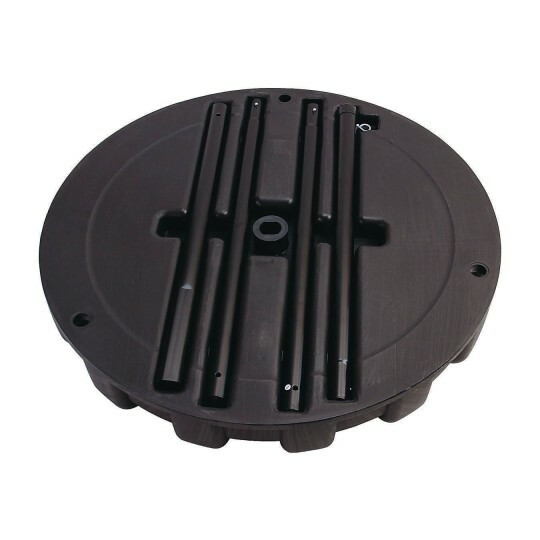 30” round base features built-in pole storage. Includes a heavy-duty rope and connector for tetherball and 3 stakes for additional stability on grass. Just fill the base with water or sand for a stable and sturdy game. Assembles in minutes with no tools. When the game is over, just pack the poles in the base and store away! Designed for outdoor use, but could easily be used indoors by simply adding a protective mat under the base to prevent possible scratches to floors. Note: Pole comes in 4 sections that fit and lock together to form an 8’ pole.